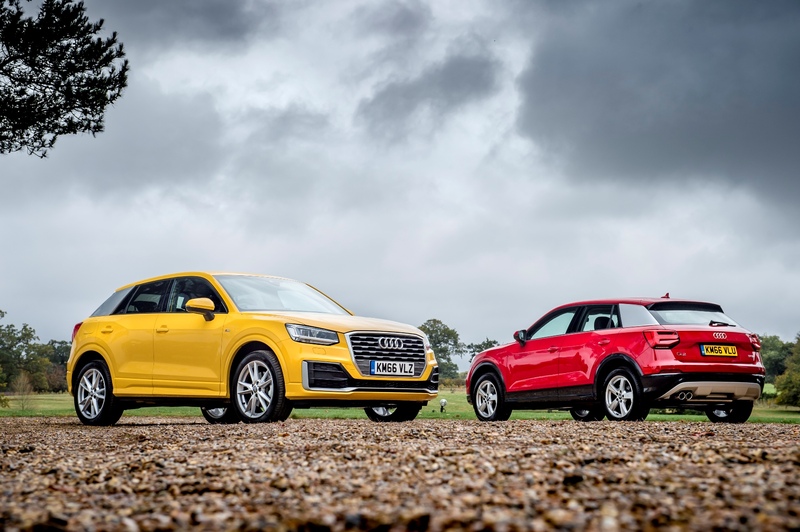 Since the order books for the new Audi Q2 premium compact SUV opened in August this year there have been over 18,000 registrations of interest, half of them from non-Audi owners, with current Range Rover Evoque drivers seemingly the most interested. 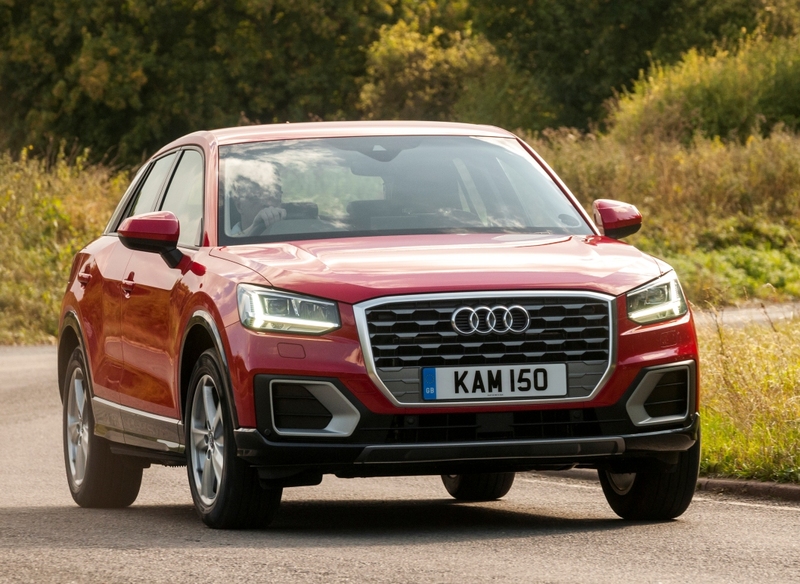 The expected 15,000 units of Q2 available for the UK market next year would suggest that once firm orders from old and new Audi customers combine, demand will initially outstrip supply. 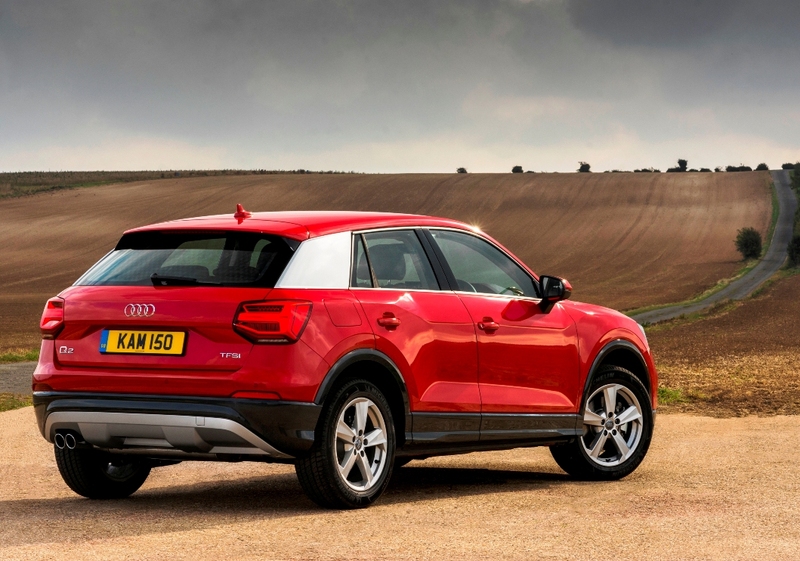 The first Q2s are in Audi UK dealerships from November 12 when demonstrations and the first customer deliveries start. Prices initially start from £22,380 and rise through to £32,720 but an entry level 1.0 litre TFSI 116 hp three cylinder petrol unit will be available by the end of this year, priced at £20,230. Engines at launch comprise of a 1.4 litre TFSI 150 hp petrol and a 1.6 litre 115 hp turbodiesel, both with manual or S tronic auto transmissions and front wheel drive. A 2.0 TDI 150 hp with the option of quattro all wheel drive will become available to order soon and later with front wheel drive as well. A 2.0-litre TFSI petrol unit 190 hp version with quattro AWD and auto gearbox will also be added later next year. The core specification levels, depending on the engine chosen, are SE, Sport and S line but a launch #1 Edition with the 1.4 litre TFSI 150 hp petrol engine and 7-speed S tronic auto gearbox is also available at the top end £32,720 price. 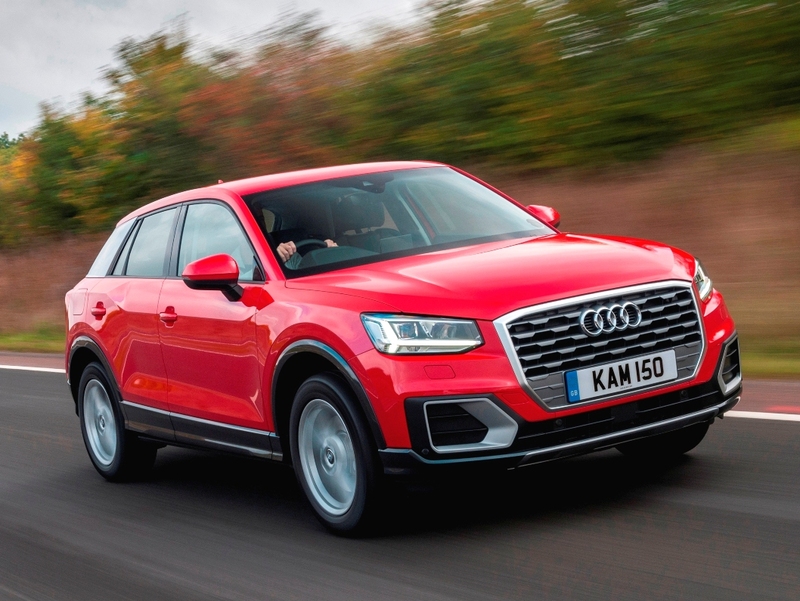 Chris Batty, Audi UK’s Q2 product manager told the Motoring Press at the first UK test drive event this week that around 15,000 units each year will be available for UK customers but supply is determined by production availability. This is a similar number of sales to the slightly larger Q3 SUV. He added that 60% of UK customers are expected to order a petrol engine with the 1.4 litre 150 hp TFSI Cylinder-on-Demand petrol engine being the choice of 40 to 45% of customers, and 60% will choose a manual transmission. Retail buyers are expected to account for 70% of sales. 40 % and SE around 5%. The single most popular version will be the 1.4 litre TFSI manual with Sport specification, costing £23,930, but it will be a close thing between this model and the S tronic auto with the same engine and which costs £25,480. Clearly the Audi Q2 does have compact premium brand competitor SUV models such as the BMW X1, MINI Countryman and Mercedes GLA. There are also other compact SUVs and Crossover models, for example the less costly but popular Nissan Juke, Renault Captur, Peugeot 2008 and Fiat 500X. It might be compact but the new Audi Q2 five door SUV/Crossover is not short on road presence. It has a reasonable array of standard equipment plus those all-important, but extra cost, personalisation options such as brightly coloured trim inserts and off course today’s must-have connectivity and driver safety support functions. In size at 4,191 mm (13.75 ft) in length the Q2 is only 197 mm (7.76 in) shorter than the more rounded in style Q3 as both are built, like many other VW Group cars, on the MQB platform. The Q2 is claimed to offer seating for five adults, which might be a squeeze in the rear seating area where four adults would realistically find enough space. 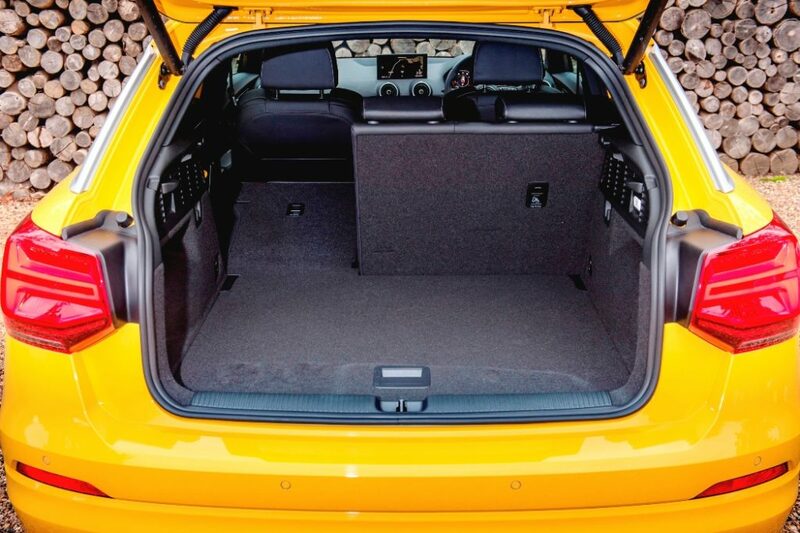 A wide-opening tailgate gives access to a 405 litre (14.30 cu.ft) boot which increases to 1,050 litres (37.08 cu.ft) with the split rear seat backs folded down. 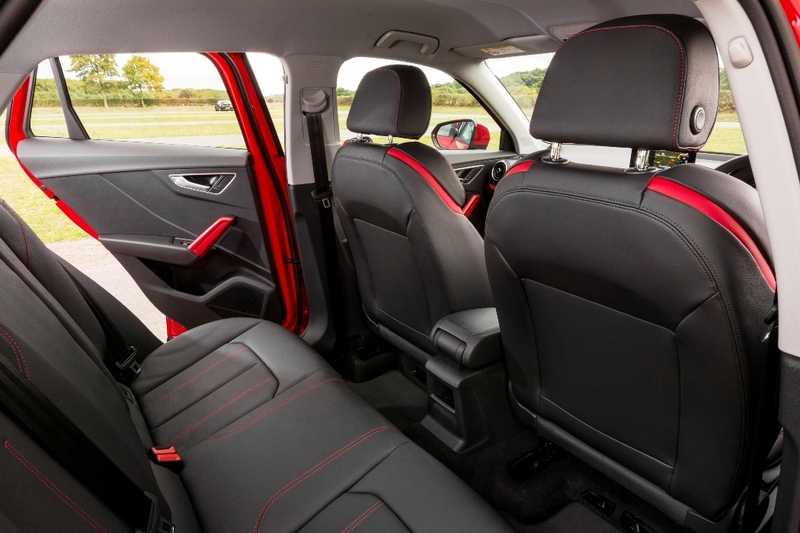 Overall the interior design is taken from the new A3 family of models and whilst generally of good quality there is some hard scratchy plastic trim used lower down in the cabin. At the front the grille is the familiar Audi face with a single-frame octagonal grille flanked by sweeping headlights. The side C-pillars have signature blades contrasting from the main body colour and there are painted contrasting colour lower bumpers on SE and Sport models. The base SE spec level includes 16-inch alloy wheels, MMI radio plus a 7-inch info screen, Audi Smartphone interface, pre-sense pedestrian warning, 3-spoke multi-function steering wheel, dynamic suspension, manual air-con, electrically operated windows and door mirrors. Sport version additions include 17-inch wheels, MMI SD card based sat-nav, front sports seats, auto lights and wipers and Audi Drive Select with four modes consisting of Auto, Comfort, Dynamic and Efficiency/Individual settings. The S line level additions include 18-inch wheels, LED headlights and sweeping LED rear indicator lights, larger front air intakes in the front bumper and sculptured side sills, front sports seats in leather and cloth upholstery and with ride comfort becoming more popular it has a standard suspension set-up but there is a free upgrade to sports suspension. Over and above S line versions, the #1 Edition’s added spec includes 19-inch wheels, an LED interior lighting package, leather upholstery with contrasting stripes and Quantum grey solid paint body colour with contrasting darker grey bumpers and C-pillar blades. Other equipment, mostly as extra cost personal choice options, includes the £1,595 Audi Virtual Cockpit with the 12-inch screen incorporated in the instrument panel in front of the driver. Also available is adaptive cruise control, traffic jam assist, lane departure warning, side assist, lane keeping assist, traffic sign recognition and cross-traffic assist; all features from larger models in the huge Audi range. My first test drive of the Audi Q2 compact SUV, held ‘out east’ in deepest Suffolk, was in the potential best selling version – the 1.4 TFSI 150 hp turbocharged direct injection petrol, Cylinder-on-Demand four cylinder engine with a six-speed manual gearbox, all wrapped up in Sport specification and priced at £23,930. But fitted with some of the likely most popular options it totalled a hefty £28,655 – so small in size but big in price then! Currently this engine is the ‘star performer’ in many other Audi model ranges. I found it the most responsive, best performing and cost effective engine at the recent A3 family of models press launch. Whilst high mileage and fleet users will stick with the 1.6 litre TDI 116 hp turbodiesel unit, for me and for most customers the 1.4 petrol unit is the best choice. It operates seamlessly between two and four cylinders depending upon the load placed upon the engine. It is exceptionally responsive during acceleration, with 250 Nm (184 lb.ft) of torque (same as the 1.6 TDI diesel), developed from just 1,500 rpm. Top speed is 131 mph and the zero to 62 mph acceleration time is 8.5 seconds – and can I point out this is a 1.4 litre engine – brilliant. With the standard 17-inch wheels this officially returns 52.3 mpg and during our test driving on winding Suffolk country lanes the real-life figure was 43.5 mpg overall with 50.4 mpg recorded for more open road driving. With CO2 emissions of 124 g/km VED road tax is £0 for the First Year rate increasing to £110 thereafter. Company car drivers will pay 21% Benefit-in-Kind tax. 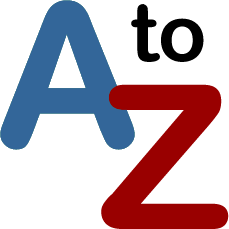 Insurance is rated as Group 20E. By contrast the 1.6 litre, 116 hp turbodiesel unit with Sport specification and manual gearbox costs £24,030, has a top speed of 122 mph, zero to 62 mph takes 10.3 seconds, the Combined Cycle figure is 64.2 mpg and on test using the same route our figure was 53.1 mpg. The CO2 emissions are 114 g/km so VED road tax costs £0/£30, the BIK rate is 22% and insurance is Group 14E, so it has some price advantages and it’s still good to drive. The choice will be down to ‘driver needs’ but I just like the 1.4 petrol unit more, it’s just a bit nippier and refined. No matter what engine is chosen the handling is really sharp and the Q2 felt very agile and of course its compact size makes it easy to park. Ride comfort was generally good, especially with the Comfort setting chosen from the Drive Select function – but stay away from larger wheels which will unsettle the ride. There was little cornering body-roll and the steering felt precise with good feedback. 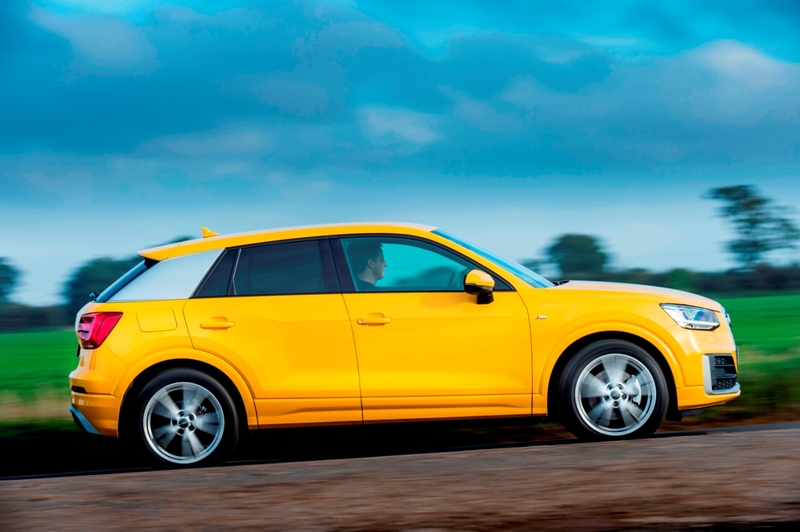 The Audi Q2 is just one of those new cars that come along at the right time. The SUV or Crossover style is fashionable and the market growing. There is a move to more fuel-efficient compact cars by customers of all ages but these models must have the latest communication and information functions. The new Q2 has all these, plus lots of safety and personalisation options and all wrapped up in the desirable Audi brand image. With its attractive kerb-appeal it will be a sure-fire sales success, judging by the initial interest from potential customers. 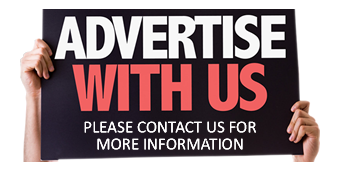 The low running costs will off-set the hefty purchase price. For: Desirable brand image and kerb appeal, high quality build, brilliant 1.4 litre petrol engine, good real-life fuel economy, agile with sharp handling, comfortable ride, easy to park. Against: Pricey and those must-have options and personalisation features will add considerably to the price, some options should be standard-fit, some hard scratchy plastic trim, warranty should have a higher mileage period. Audi Q2 1.4 TFSI CoD, Sport, manual, (likely best selling model). Price: £23,930 (£28,655 as tested). Engine/transmission: 1.4 litre, TFSI four cylinder, Cylinder-on-Demand, turbocharged petrol, 150 hp, 250 Nm (184 lb.ft) of torque from 1,500 rpm, six speed manual, front wheel drive. Fuel consumption: Combined Cycle 52.3 mpg (43.5 mpg on test). Emissions and taxation: CO2 124 g/km, VED road tax £0/£100, BIK company car tax 21%. 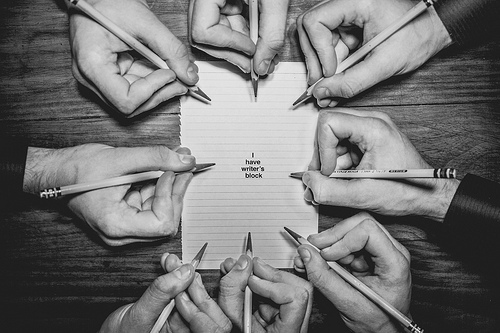 Insurance Group: 20E. Dimensions/capacities: L 4,191 mm (13.75 ft), W 1,794 mm (5.89 ft), H 1,508 mm (4.95 ft), load/luggage space 405 to 1,050 litres (14.30 to 37.08 cu.ft), braked towing weight 1,500 kg (3,307 lb), five doors four/five seats.